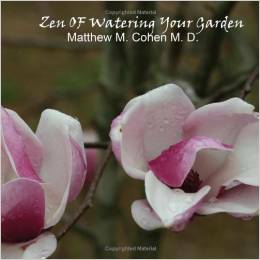 Dr. Matthew M. Cohen, a gardener for over fifty years and a family physician for thirty of those years, is the author of a inspirational book called Zen of Watering Your Garden. This little book is full of beautiful photographs from photographers around the world and with each photo there is a poem, quote or little saying from various sources along with Dr. Cohen himself. He says “The goal of the book was twofold. The first is to provide an experience which nurtures the reader’s relationship with things that grow in the earth–and in the soul. 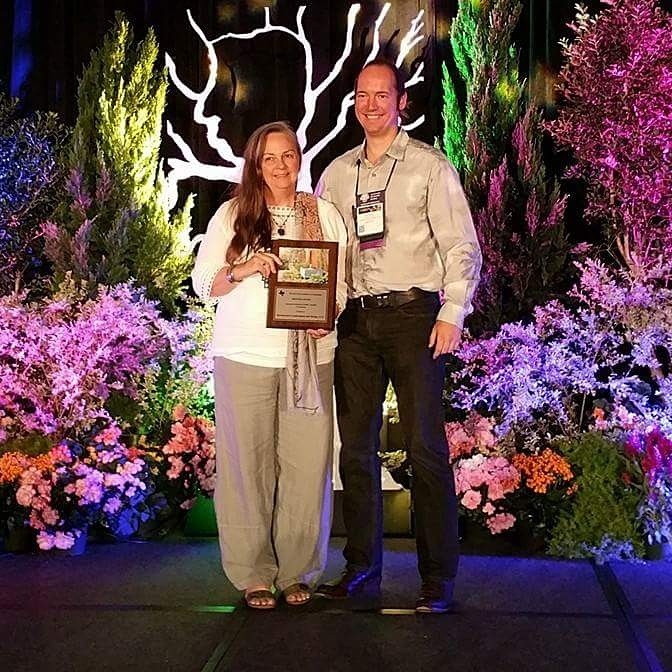 My second goal is to inspire my readers to engage the garden in its own integrity and power.” He feels that taking the time to water each plant and doing it with intention can bring you a Zen-like experience as you observe and become part of the natural process of bringing water, the source of life, to each plant. And in return you are able to contemplate your own nature and what sustained you. Unfortunately this book is out of print but I was able to find a used copy! It would make a great gift for a gardener or someone that wants to garden. For me the garden is a magical place where I can go to sort myself out and be one with nature. 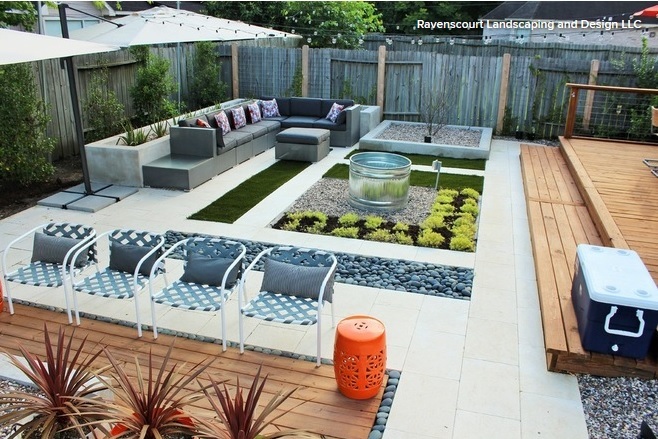 I am less concerned about how my garden looks than you might think a designer would. 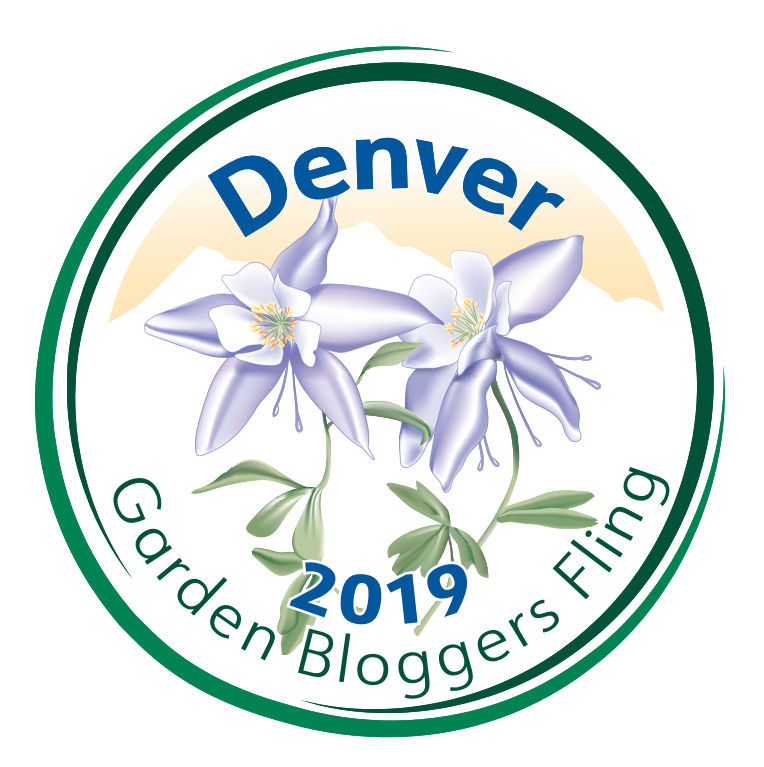 I am a plant geek and can’t resit trying something new. My garden is more of a crazy quilt but I am happy in it! For me gardening is a process and a meditation. I love going out each day and watering my potted plants or new transplants. I do have irrigation and even a special pot zone to water potted plants. I don’t use the pot zone, but could if I was away for long. I like seeing the subtle changes of the plants. They let you know if they are happy or not. Sometimes they want more sun or shade, more water or less and eventually to be re-potted as their roots over grow the pot and the soil becomes tired. We have a lovely Desert rose that nearly died because i forgot to take the plug out of the bottom of the pot. When I noticed it failing I tried several things before realizing I was drowning it. It is now out on the walk way in full sun and coming back to life! It sounds like a great book. I love seeking out books like this that are out of print. I looked around for it yesterday and there where crazy prices on Amazon. I wonder if some smaller book seller might have it. I find many of the garden books I read about are out of print and I have fun tracking them down. Many are used library books. What a nice outlook on garden maintenance. I’m not sure how I fit in though….. Watering may be my least enjoyable part of gardening. Am I that far from zen? Perhaps you may think of it differently now? An opportunity to be one with the natural process of giving life sustaining water. Zen is a practice…and watering calls you back to a place of simplicity! I too find sometimes I look at it as a chore when I am rushed and then I try and remember to calm down and enjoy the time with my plants. I am at a point in life where I am editing how I spend my energy. 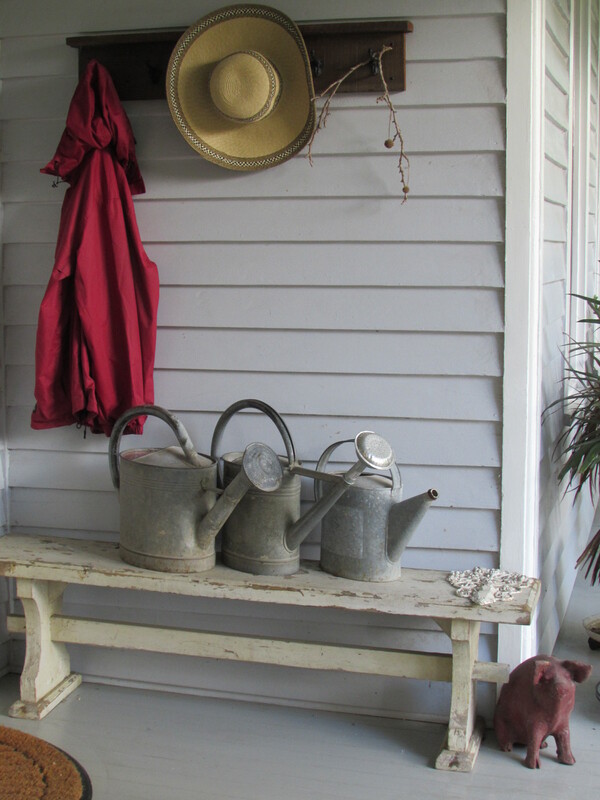 I am making more time to garden, cook and read…things that restore me and don’t wear me down! That is so true Jan! I always keep that in mind when helping other create their own little piece of paradise!